The word for October is . . . I don’t know about where you live but around our house this is the time of year when large spiders throw nets across open spaces that insects frequent. 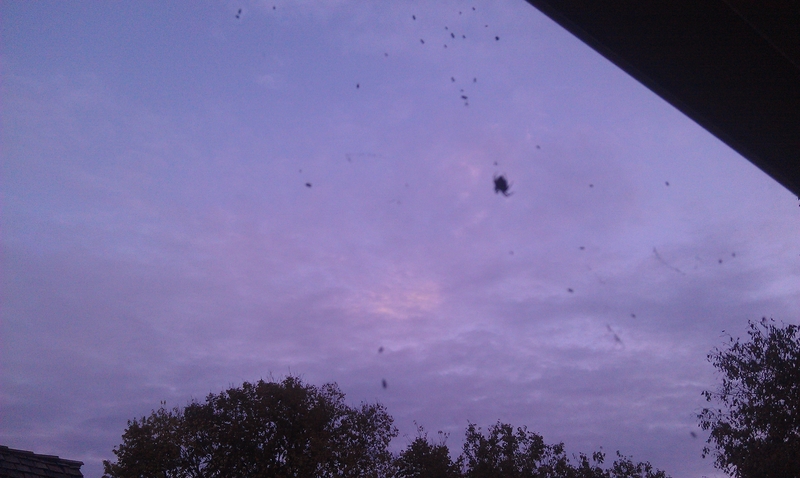 I saw one yesterday capture three moths within an hour. While feasting on the first one, it would take a break now and then to bite and wrap up the next item on the menu. Of course that’s why I selected WEB for the October Word of the Month Poetry Challenge. But, also of course, that’s only one way of thinking about a web! I can’t wait to see what your fertile imaginations will conjure up for October. Start spinning your poem at once! 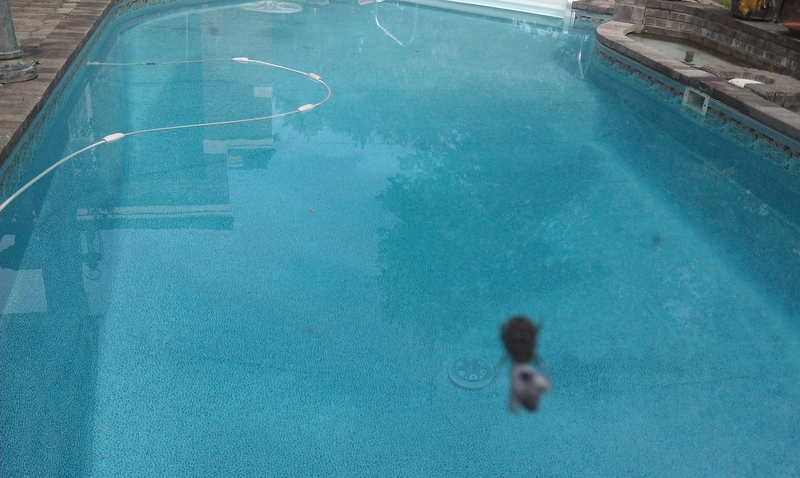 By the way, not long after I snapped the picture of the spider by the pool, a bird got the spider. Later in the day I discovered feathers beneath my bird feeder. This morning I noticed a stray neighborhood cat crouched behind the tree that holds the bird feeder, looking for breakfast I suppose. And so it goes in nature.